The App Inventor Java Bridge Library is a Java code library for building Android apps. 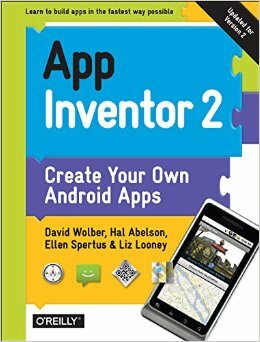 It is easier to learn than the Android SDK and it uses the same terminology as App Inventor-- there is a Java class for every component. You can use this library in Android Studio to manually code Android apps. This page provides some lessons and tutorials for doing that. Download the library. The App Inventor Java Bridge Code Generator is an exploratory version of App Inventor which allows you to build an app with App Inventor, then click a button to automatically generate a Java equivalent of the app. Read more. Want to learn how to code android apps in Java? Check out the Java Bridge course for step by step tutorials and resources. Try out these example Java Bridge applications to get started programming. Click a button to turn it red. Draw on a picture you take with the camera! Click the mole to earn points! A trivia app about US Presidents. Track your favorite stocks in real-time. USF and the Democratize Computing Lab has developed a version of App Inventor that allows you generate a Java apps with a single click. The generated apps make use of the App Inventor Java Bridge Library. We call this tool the App Inventor Java Bridge Code Generator. For more information and a link to the alpha version of the tool, click here.